DJ Ceremony is one of New York City’s most in-demand Alternative DJs. 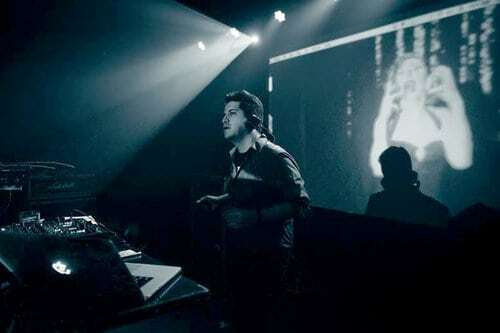 He has a 1st Saturday residency (as a producer/DJ) at the popular Greenpoint live music venue Saint Vitus. There he produces his flagship party “Oscillate Wildly” (a Smiths/Morrissey-themed fan celebration), in addition to a ’90s Britpop night that occurs on alternating months. He also has a weekly Wednesday night residency at Jesse Malin’s subterranean East Village club, Berlin. DJ Ceremony is routinely booked by many of NYC’s most influential Alternative nightlife producers such as Michael T, Joe Hart, Bettina May, Twig The Wonderkid, and Gemini & Scorpio. He can regularly be heard as a guest DJ or one-night-only producer at an eclectic array of local venues such as Le Poisson Rouge, Gemini & Scorpio Loft, Beauty Bar, and Rumpus Room. Although DJ Ceremony’s specialty is UK Alternative music, he enjoys performing in a versatile range of different styles, and looks forward to bringing a bright, fun, kinetic sound to select Saturdays at Parklife. Follow DJ Ceremony on Twitter, Instagram, Facebook, and his website.